"Over the course of the 1990s and increasingly in the 2000s and 2010s, the defendants and their co-conspirators relied heavily on the United States financial system," the indictment said. "This reliance was significant and sustained and was one of the central methods and means through which they promoted and concealed their schemes." For instance, in 2013, Traffic USA, a football event management company, wired $11 million from an account at Citibank in Miami, Florida to an account of the Confederation of North, Central America and Caribbean Association Football (CONCACAF) at JP Morgan Chase bank in New York. US prosecutors are set to investigate the US financial institutions, implicated in the corruption scandal that rocked the world's football governing body, to determine whether the banks were aware that they were used for money laundering. US prosecutors also noted that the conspirators "relied on the broader strength and stability of the US financial system, including access to the private equity markets." On Wednesday, seven high-ranking FIFA officials were arrested in Zurich at the request of the US on charges of fraud, racketeering, money laundering, as well as illegal marketing and broadcasting deals over the last two decades. 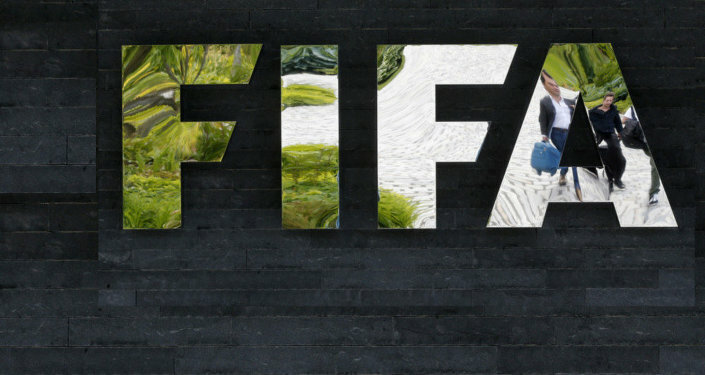 A total of nine FIFA officials and five corporate executives were indicted on racketeering and money laundering conspiracies by the US Justice Department. Last week, several of the banks mentioned in the indictment, including JPMorgan, Citigroup and UBS, agreed to a $5.7 billion settlement after pleading guilty to charges of rigging the London Interbank Offered Rate (LIBOR), an index used to calculate interest payments around the world. These banks have already paid billions of dollars in civil and criminal fines and penalties in previous years, according to the Department of Justice. The Ugly Game: Could FIFA Corruption Arrests Be Final Whistle for Blatter?